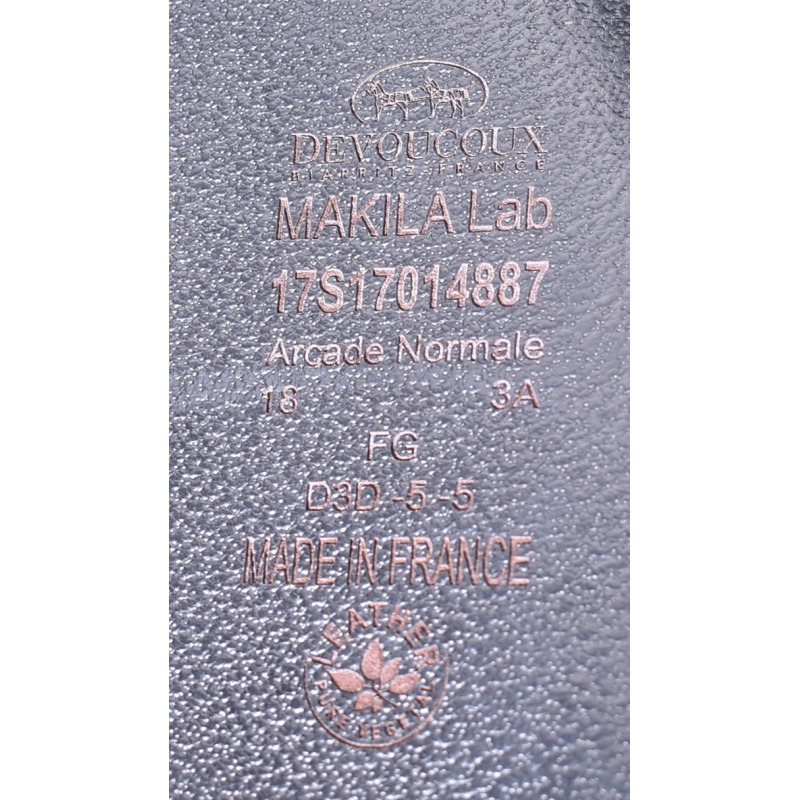 18" DEVOUCOUX MAKILA LAB SADDLE, EXCELLENT CONDITION! 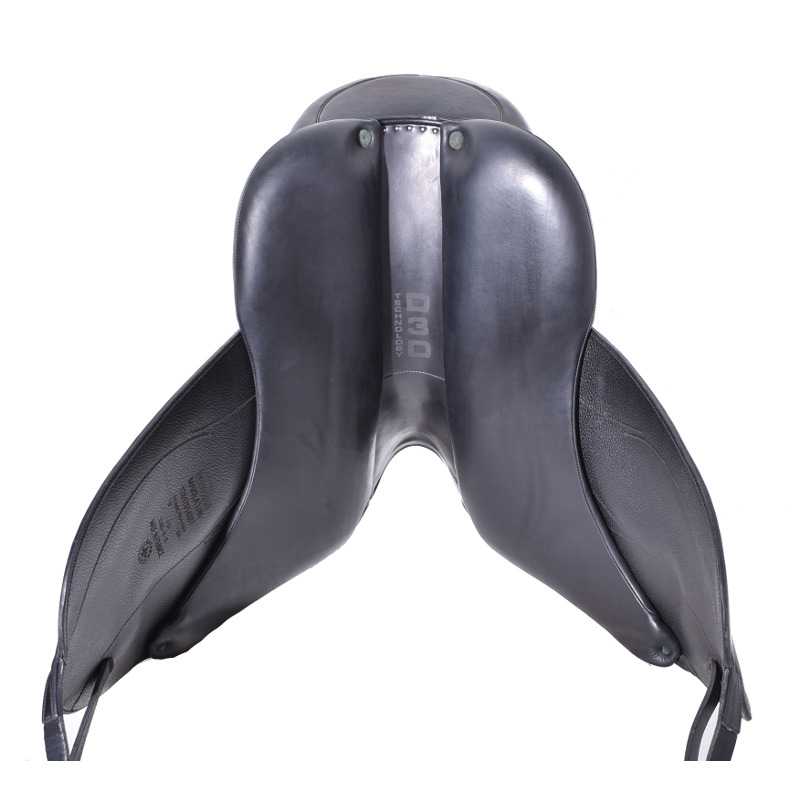 The Makila Lab is a deep seat, mono-flap dressage saddle. Prominent knee and thigh blocks along with stirrup bars positioned further back than on similar models ensure the rider’s stability in elevated paces and transitions. 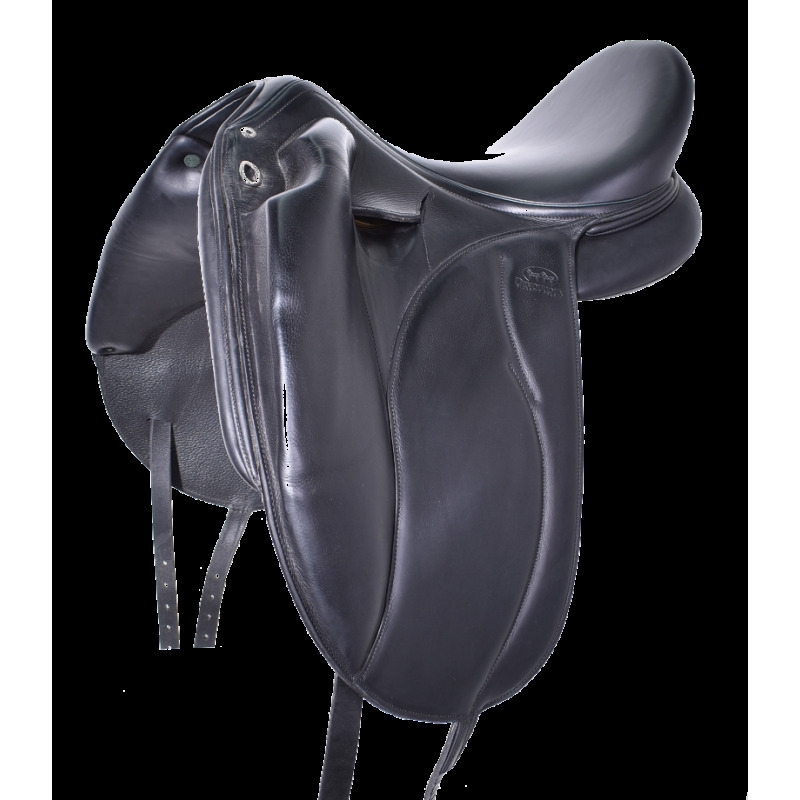 The straight shape of the flap makes this saddle a perfect choice for those who prefer a longer stirrup length. D3D technology in the panels improves communication between horse and rider, and their splayed design (30% increased weight-bearing surface) combined with increased spinal column clearance gives bigger horses the extra room they need. 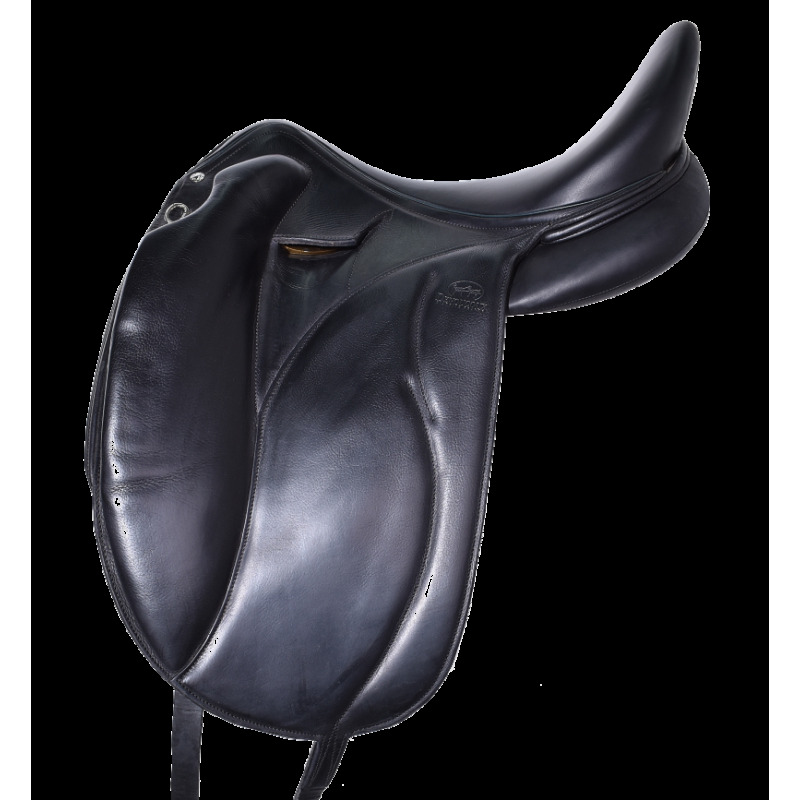 This innovative saddle is popular among experienced dressage riders. Full Calf leather - Excellent condition!